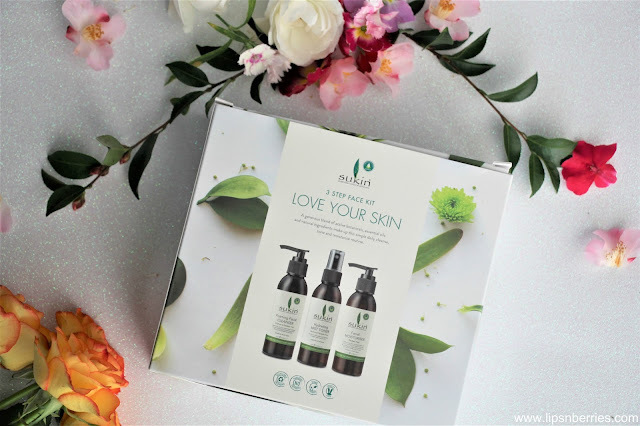 Sukin Love Your Skin 3 Step Face Kit Review | LIPS n BERRIES! Aha..its been a while since I've reviewed a skincare set. 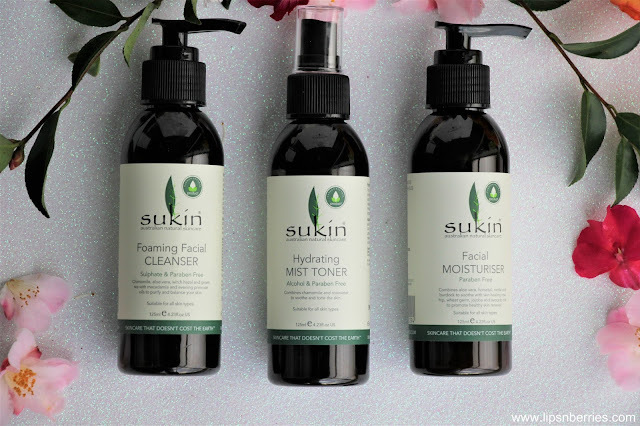 I'm not the one to be easily impressed by skincare products but this 'Love Your Skin' 3 step face kit from Sukin has me smitten. I just had to write about it. For the price that it's available, $30 for 3 x 125 ml products, it's a steal. Literally all your skincare in one set. Best that it is suitable for all skin types (including sensitive). I can confirm that it's surely a goodie for my dry skin. I've been using this set for about a month now. The 3 products in the set- Foaming Facial Cleanser, Hydrating Mist Toner and Facial Moisturiser, all work well with each other. I have super dry skin and my skin has been literally drinking these up, in this fickle spring weather in NZ. 1. 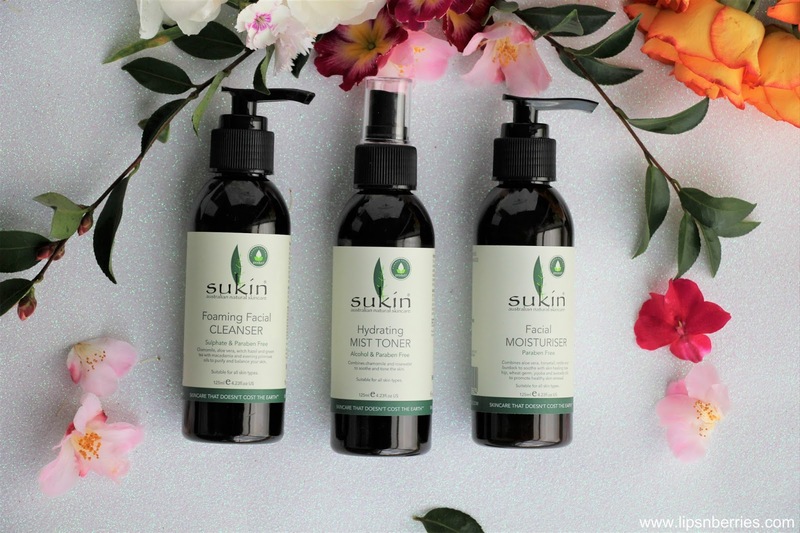 Sukin Foaming Facial Cleanser- This clear liquid cleanser has a botanical scent. It's not overly foamy, just right to give you that squeaky clean face, without overly drying it. Hubby has combination skin and he likes it too. I usually wipe my everyday face in the evening with some Micellar Water followed by this cleanser and I'm good to go. For heavy duty makeup, I tend to use another cleanser with it (double cleansing). With aloe, witch hazel, chamomile and green tea goodness, this one is a great everyday cleanser for the price. 2. 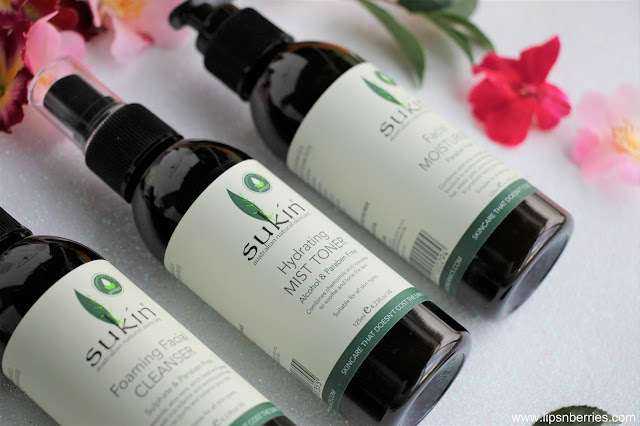 Sukin Hydrating Mist Toner- This face spray/ toner is pretty incredible. I love Rosewater's and have used a fair few. This one is definitely up there. The Rose + Chamomile scent is calming & soothing. When I spray the mist on, it has a warming sensation. Not uncomfortable but definitely something you'll notice straight away. The sensation dissipates in a minute or two. I quite like the warmth. The spray leaves my skin hydrated and fresh. It absorbs in fast so I'm ready to put on my moisturiser after a couple of minutes. It doesn't itch my eyes either (not that I should be putting it in my eyes anyway. Don't). It also isn't bitter (Not that I should be putting it in my mouth. Don't). This is indeed a refreshing facial mist. I wouldn't mind buying a full size of it. 3. 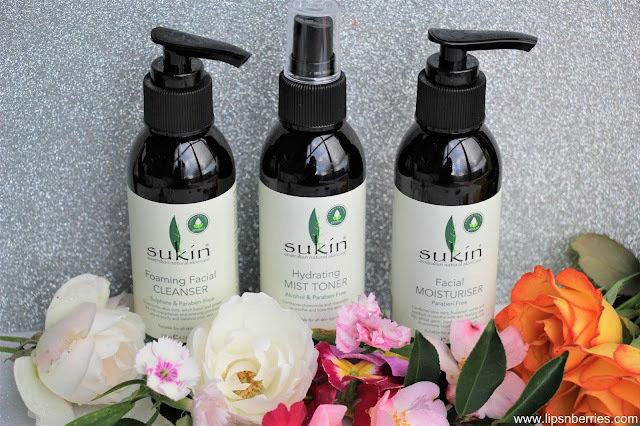 Sukin Facial Moisturiser- This Moisturiser is clean white in color & of thin consistency. 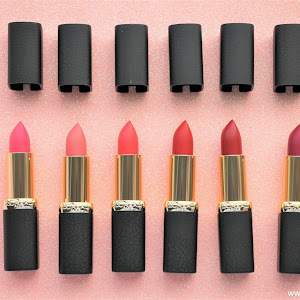 It reminds me of Clinique's Dramatically Different Moisturising Lotion (minus the yellow color). 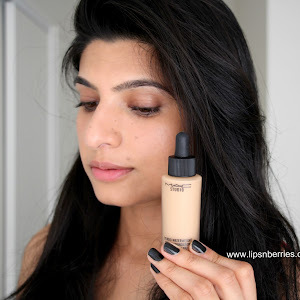 The moisturiser though thin, absorbs quickly and is super hydrating. I feared this would give me dry spots as it was so light but this guy has pleasantly surprised me. As it's super lightweight, it is suitable for all skin types. It takes a couple of minutes to absorb in so I can put my makeup over it in like 3-5 minutes. You also don't need a lot of it as it spreads so easily. This 125 ml pump bottle will last a good few months on me. 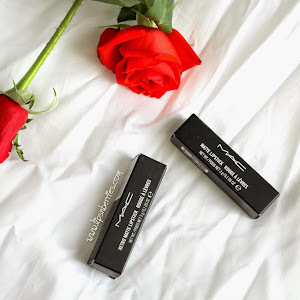 In summary, Sukin Love Your Skin face kit is definitely a steal for $30 NZD. All 3 products work well for all skin types. If you're like me who hasn't tried much of Sukin Skincare before, this kit is a great place to start. 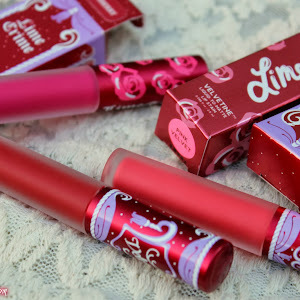 Their products are cruelty free, vegan & environment friendly. I'm now looking forward to try more from their skincare range, specially their Super Greens Facial Recovery Serum and the much raved about, Organic Rosehip Oil.